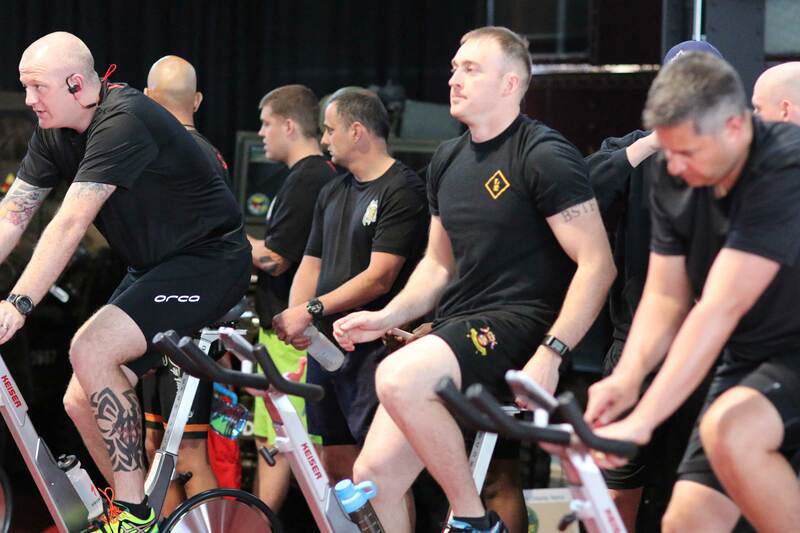 Spin For A Veteran is raising funds for the Homes For Heroes Foundation which was developed in response to the growing number of military veterans who have returned to civilian life and now face crisis. It is estimated that for approximately 25% of Canadian Armed Forces members, the process of being released from their military career back into their community can be stressful and complex. The transition process can affect many facets of their life and may impact an individual personally, psychologically, socially, financially, and professionally. Homes For Heroes will assist veterans, whose challenges have caused them to be homeless, progress towards a stable and secure life by providing housing and a robust support system, fundamental components of stability and dignity. Homes For Heroes has partnered with local social agencies that will sponsor veterans into the Homes For Heroes communities. The Homes For Heroes Foundation realizes a structured, yet nurturing environment is required to ensure positive development for the veterans. The communities are designed to be transitional, with the goal to have the residents live in the home until they can re-enter mainstream society or be transferred to more permanent long term living communities. In either case we do not expect the veteran to be in a Homes For Heroes community for more than two years. We are optimistic that once a veteran has been sponsored into the program and able to work on personal development, secure employment and transition back to civilian life will follow. As an existing resident transitions from a Homes For Heroes community back into civilian life, it is expected a new resident will take their place in the program. Homes For Heroes’s first village is slated for development on centrally located land in Calgary in 2018. At an estimated cost of $2 million, the village is expected to house approximately 20-25 of the 160 veterans in Calgary currently experiencing homelessness. It is our goal at Homes For Heroes to develop housing programs for our veterans in need across Canada. With your support we can develop communities and programming that show we as Canadians appreciate the sacrifices our men and women in uniform have made for us.